City boy Chase Russell is on the fast track to self-destruction. A star athlete, he gets into trouble with drugs and alcohol. Fulfilling a community service sentence in Yellowstone National Park is the last thing he wants to do. 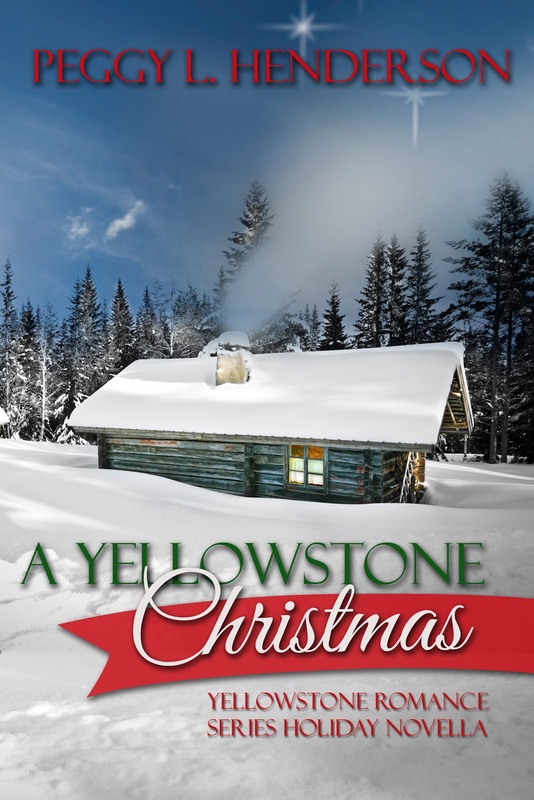 After a night of drinking in the park, he wakes up to find his new friends gone, and everything around him has changed.Sarah Osborne grew up in the rugged Yellowstone wilderness. She can hunt and track right alongside the most experienced men. When some Indians drop a near-dead man off on her doorstep, she doesn’t know what to think. He’s convinced he’s from the future, and wants to find a way home. Kyle Russell has worked with prominent men, led scouting expeditions through the Yellowstone country, and irritated more than a few Indian braves, but he will never duplicate his father’s legendary accomplishments. Captured by a group of Crow warriors, his plans of escape are derailed when a lone white woman is brought into camp. Danica Jensen dreams of a man she knows she can never have. After one brief encounter five years ago, her heart is lost to him forever, and she won’t give up hope of seeing him again. Raised by a bitter father, she’s learned to be strong and resourceful on her own. When a pleasure trip to the newly created Yellowstone National Park turns into a battle for survival, her inner strength is tested like never before. A woman like Danica doesn’t interest Josh Osborne. He’d be crazy to get involved with a bossy, strong-willed white woman. His mixed heritage has always made people wary of him. He prefers to be on his own, and his role as protector of the national park’s game allows for no attachments. Danica’s dream of ever winning Josh’s heart shatters after a cruel twist of fate changes her life forever. Suddenly forced together, they must confront their deepest secrets. Josh can’t deny his growing respect and admiration for this brave woman, but will the bond they’ve forged be powerful enough to turn his feelings into love? When an unforeseen danger threatens their lives, Josh must protect more than the wild inhabitants of the park. Dan Osborne has one ambition in life. He wants to be a permanent park ranger in Yellowstone National Park, a place where his family roots run deep. He’ll do just about anything to make his dream a reality. When a pretty tourist tells him an incredible story about his ancestors, his dreams might be realized sooner than he hoped. Jana Evans’ best friend traveled back in time for true love. Not only is a weathered diary proof that she survived, so is the handsome park ranger standing before Jana now. Her immediate attraction to Aimee’s descendant leaves her disturbed and confused, and she rushes back home to the safety of a normal life. An unexpected phone call months later from the very man she wanted to put out of her mind forces her back to Yellowstone. He has news that Aimee met with an untimely death. Is she willing to follow him 200 years into the past to save her best friend’s life? Dan is convinced that Jana holds the key to finding the device that makes time travel possible. He hasn’t stopped thinking about her since their one brief encounter months ago. A journey into the past could not only set things in place for his own future, but it might also bring Jana back into his life. Will the truth about his motives shatter any chance they might have at love? Aimee Osborne has always looked forward to the Christmas holidays in the twenty-first century where she grew up. Now that she lives in the primitive wilderness of nineteenth century Yellowstone, she is determined to hold on to some of her traditions. Daniel Osborne is unfamiliar with many of the customs and beliefs his wife grew up with. Although he doesn’t understand her enthusiasm for the holiday, he shares in her joy of the season, and plans to make each Christmas with her memorable. For Aimee and Daniel, this holiday season might not be the joyous event they hoped for. When an unexpected package arrives at their doorstep, Aimee’s plans for the festivities this year might not go off as she envisioned. When danger threatens his family, Daniel will do what it takes to protect them, and perhaps bring some peace and joy to more than just his wife and children. To what lengths will a father go? Chase Russell has done a lot of growing up since he was thrown two hundred years into the past to the Yellowstone wilderness. No longer the reckless delinquent he used to be, he has made many life-altering decisions. Providing for his new family has become his number one priority. Faced with the unthinkable, he’ll do whatever it takes to save the ones he loves, even if it means crossing the boundaries of time. When a strange elder reveals a shocking secret and demands a promise in exchange for his help, Chase doesn’t hesitate to meet the old man’s request. Thrown back into a world where he no longer belongs, Chase confronts old demons and faces new challenges. Will the lessons he’s learned in the past be enough to save his family in the future? ***Events in Yellowstone Promise take place after Yellowstone Redemption (Book 2 in the Yellowstone Romance Series), but also after Yellowstone Deception (Book 5 in the Yellowstone Romance Series). 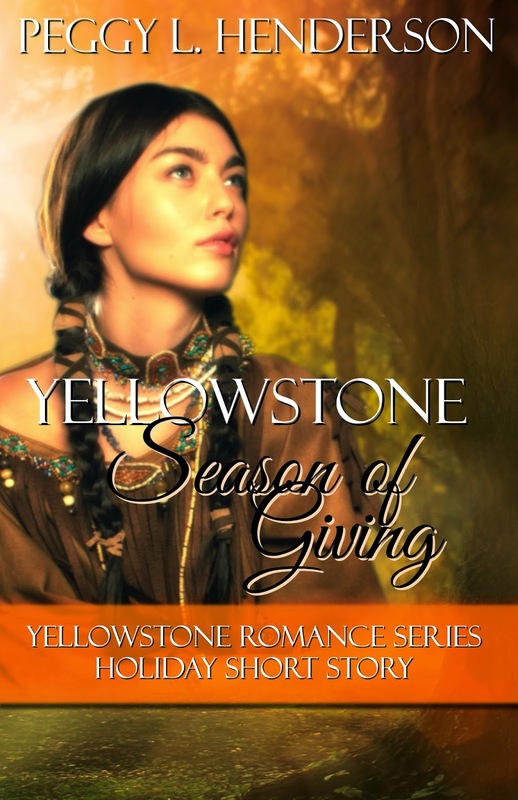 Although each full-length book in the Yellowstone Romance Series can be read as a stand-alone story, the series does build on previous books. “Matthew’s dead.” … News no parent wants to hear, but that's exactly what Daniel and Aimee Osborne must endure. On their way home to the Yellowstone country after spending two years at University, brothers Matthew and Zach Osborne are looking forward to a happy homecoming and family reunion. The long trip takes an unexpected turn when their path crosses with a group of travelers who shouldn’t be venturing through dangerous Indian Territory. Adelle Witmer’s journey west has brought her face to face with things she could never anticipate. Under her father’s stern and protective eye, she is not allowed to waiver from her strict upbringing. When two rugged woodsmen join their camp, she learns of a world beyond her wildest dreams. Neither one of the Osborne twins could have foreseen the turn of events their decision to accompany the group of missionaries would take. Matthew’s unlikely attraction to Adelle not only puts him at odds with her father, but may very well cost him his life. All her life, Riley Bernard has felt like an outsider. Bullied and misused, she finds solace in her books and research. She comes to Yellowstone, hoping to learn about its ancient inhabitants, and unexpectedly overhears a strange tale about time travel from a couple of park rangers. When a mysterious box of artifacts arrives for her, she is thrust into field research beyond her wildest dreams. Taken as a boy from the only family he knew, Cameahwait is thrown into an unknown world. The Sky People spoke of promises and tales that he was chosen for something great, yet they abandoned him to find his own way in a harsh and primitive land. When he finds a beautiful woman held prisoner by his enemies, he knows she may be the key to what he’s sought for twelve long years. Cam will stop at nothing to return Riley to her own time, even if it means facing those whom he turned his back on long ago. While searching for the ancient elders, the two embark on a journey of self-discovery and understanding of each other. When attraction turns to love, and Cam finally learns the truth about his past, he and Riley must make a choice to either follow their destinies, or allow an ancient evil to destroy the future of Yellowstone. 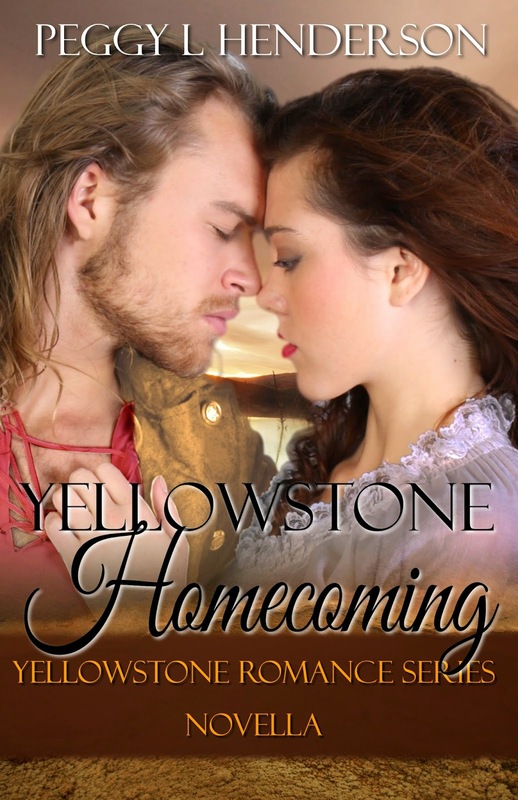 A Yellowstone and Teton Romance Series Crossover Novella! Lucas Walker's life couldn't be more different from a few years ago. Now married and expecting his first child, he wants nothing more than to provide a good home for his family. With Christmas coming, he sets off to find the perfect surprise for his wife. As Tori Walker approaches the time for her baby to be born, she is comforted by the expert care that surrounds her. However, winter in the mountains can turn deadly at the blink of an eye. When her prankster husband fails to return from a short hunting trip, she doesn't know whether to be angry or worried. Christmas is a time to reminisce and enjoy family time. Young or old, all who gather in the Walker home this holiday can share memories of falling in love, being saved from near death, and not being able to imagine life without each other. When Lucas and his companion are feared lost in the wilderness, this holiday season may well be remembered as the season of mishaps, rather than a season of joy. Peggy another wonderful Yellowstone story that again I loved. So much interesting things take place and Mattew's story is brilliant and going after Addy makes a fascinating story. How he would survive his wounds was anyone's guess I'm sure was not this. Addy getting free from her captures was intriguing & her finding Mathew was a good coincidence. Awesome love story that developed. Thank you so much for your comment, craftydr! I'm thrilled that you enjoyed the latest glimpse into the lives of the Osbornes. I have all 3 Teton books and 9 of the Yellowstone stories. I cannot find Yellowstone Proposal. Where would I find that one? I usually purchase my books from Kobo. Thank you. 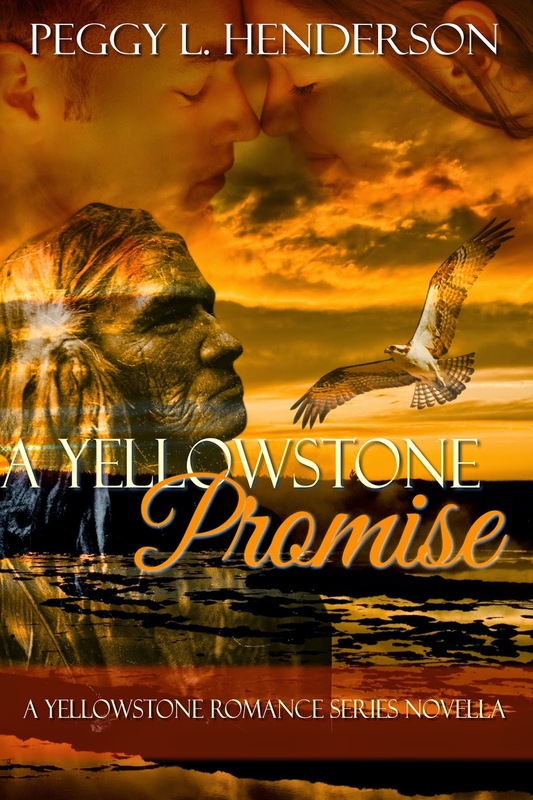 Yellowstone Proposal was a very short (about the length of a chapter) story I wrote in collaboration with a group of authors doing a short story anthology. It's so short, it's not published on its own. The story fits nicely on the timeline between book 2 and 3 of the Teton Trilogy. I'd be more than happy to email it to you in an ePub file (for Kobo), if you'd like to email me. Email request sent - Thanks Peggy!! 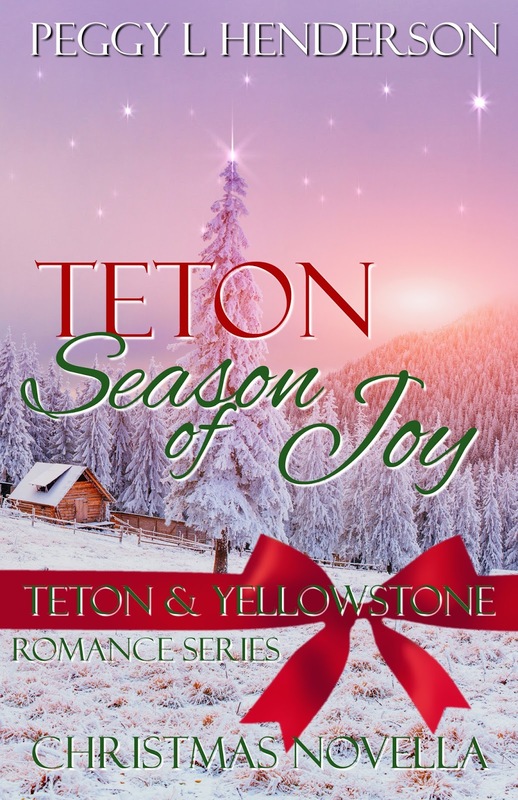 I found Teton Season of Joy today and have just finished reading it. 3 Months late I know, but at least I found it. Great Xmas story, Peggy. They say trouble comes in threes and you sure did give Lucas lots of troubles. In fact, I'd say there were 4 major troubles. A polar Plunge, an avalanche, a broken leg, falling down a crevasse, and having a baby. Make that 5 troubles!! Fortunately all of these did not happen to the same person. I threw all but the kitchen sink at Lucas :D He can handle it! I am so addicted to these books, first starting in Ibooks with the free ones, now I am buying them! Though I am reading some out of number, I am going back and reading one by one! I love the 'back in time' books! You are an awesome author, Peggy! Thank you! Wonderful books and strong female characters, love that. Is there somewhere to find the ancestry chart for all these folks? Hi Betty! Thank you! So glad to hear you are enjoying the books. I have the family tree in pdf format. Please email me at peggy@peggylhenderon.com, and I'd be happy to send it to you. I've enjoyed reading your books for so long. Your characters feel like real people to me and I enjoy hearing of their exploits. 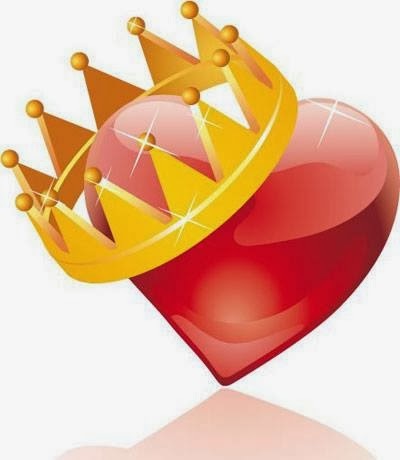 Thank you for the pleasure you give us readers keep up the good work. Thank you so much! :D Comments like that definitely keep me writing! Peggy, I LOVE LOVE LOVE these books. Please keep them coming. When is the next one due out? I've read several of your books. I love your characters, especially in the "Blemished Brides" series. They are so vivid in my mind as I read and by the end, whilst I'm happy with ending, I don't wamt to leave them. 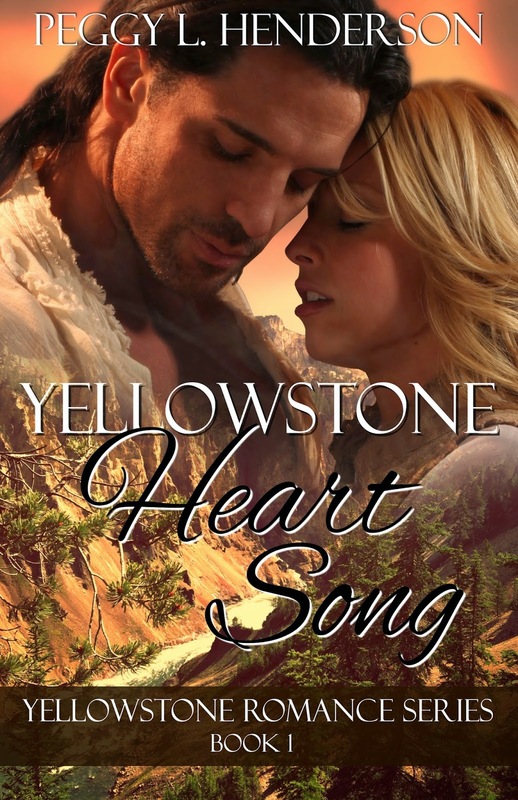 Just finished reading "Yellowstone Heart Song", so I'm happy I don't have to! I've read Second Chances Time and Yellowstone Romance (I'm on the 3rd book) series and love all of them. Do you have any plans on doing stories on Chase's and Sarah's daughters? Would love to read those too if you do. Thank you. 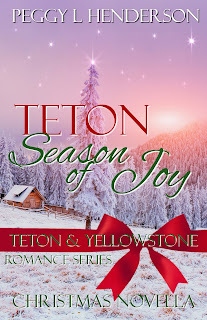 The Yellowstone Series has grown into a larger world with the spin-offs of the Teton Romance Series and the Wilderness Brides Series, and characters often cross over. Thanks so much for stopping by! I'm currently working on Yellowstone Legends. I don't have a release date yet, but if you're signed up for my newsletter (the sign-up form is in the top right-hand corner of this page), you'll be notified as soon as it's live. If you'd like more interaction with me and are active on Facebook, please consider joining my reader group. Also, if you enjoy the Yellowstone world, there are two spin-off series - the Teton Romance Series (formerly trilogy, but it's turning into a series) and the Wilderness Brides Series. Characters from all three series tend to cross over. Waiting on Yellowstone Legends. I rushed and bought them all... it says it was released in 2017, where is it ??? It's all I think about....this is such a good series. You are a fantastic author. I usually only look for time travel stories and when i stumbled upon yours I hit a gold mine.